I was about 99% ready to make Ina Garten’s lentil vegetable soup after the string of dreary days we had last week — I went to hear Ina speak at the 92nd Street Y last summer and her response to my question of “What is your favorite thing to cook on a day like today?” (it was also raining like cats & dogs) was her hearty and delicious lentil vegetable soup. I completely agree — what could be better than cuddling up to a steaming bowl of soup and a good book on a vile day… I’d take that anytime over working a 10 hour day in the renovated closet office I now call my (hopefully temporary) home at work. I happened to flip through the big yellow Gourmet cookbook on Friday and saw this divine looking recipe for Laduree‘s fried eggs over warm lentil salad… so I decided to toss my lentil soup plans out the window and go for something new. Put the lentils in a medium sized pot and fill with water until they are covered by about 2 inches. 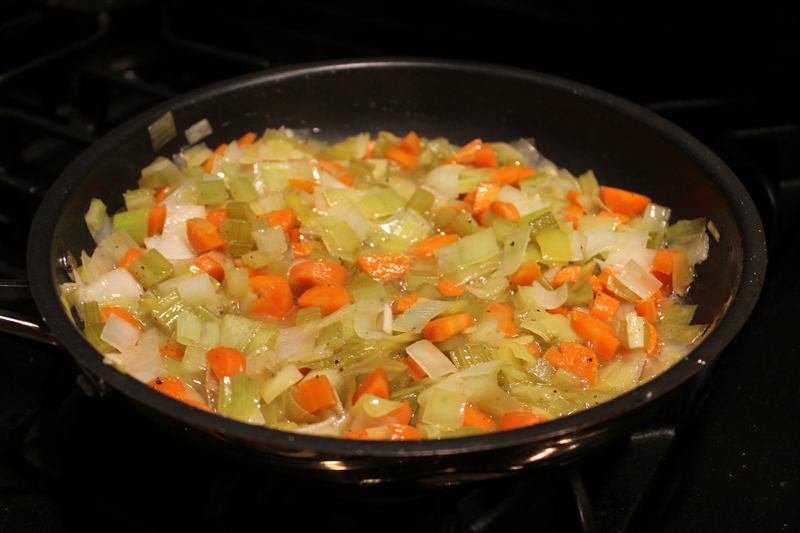 Bring to a boil and then let them simmer for about 20 minutes or until tender. 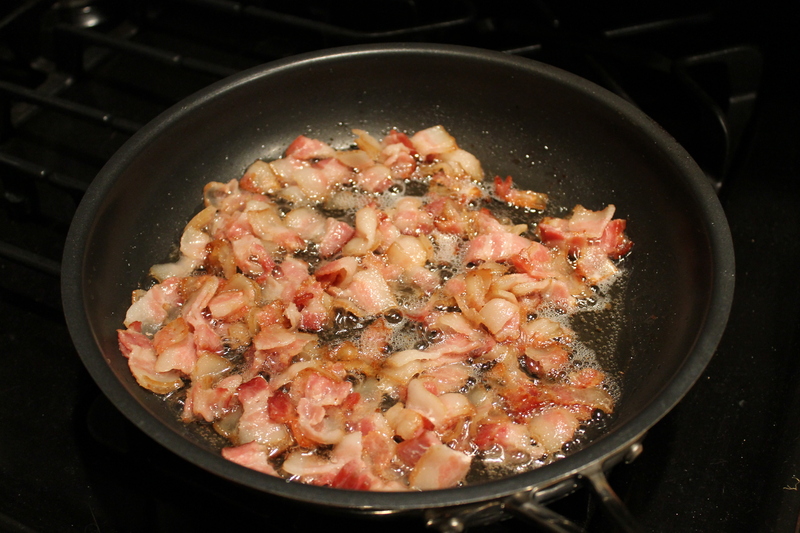 In a non-stick pan, cook the bacon until browned, remove with a slotted spoon and drain on paper towels. 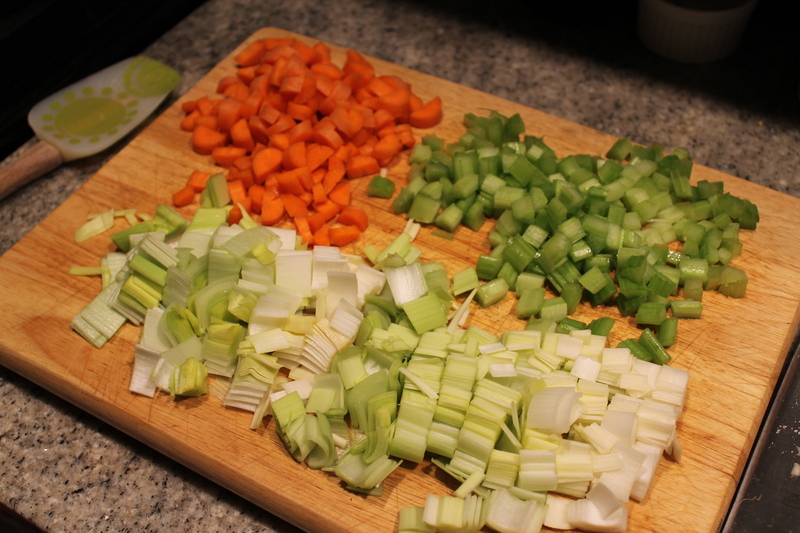 Add the carrots, leeks, and celery to the residual bacon fat. Cook for about 5 minutes or until just tender. Add the vinegar and cook until most of the liquid has boiled off. Remove the pan from the heat and add the tarragon. Season with salt and pepper to taste, and move to a large bowl. Drain the lentils and combine with the veggie mixture, then add half of the cooked bacon. Wipe out the pan, and fry the eggs two at a time until the whites are set but the yolks are still runny. 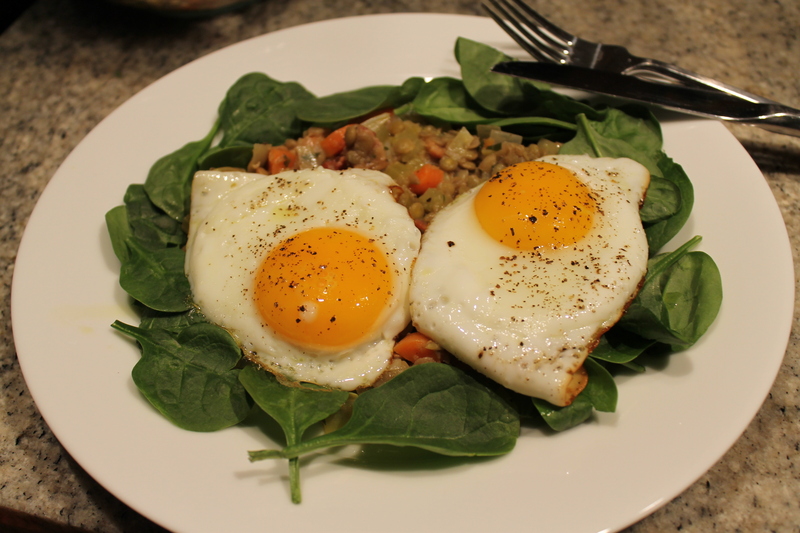 Mound the lentils on a plate and top with baby spinach, eggs, and a sprinkle of bacon. Yum! This makes such a filling and flavorful meal for any time of day! This entry was posted in Bacon, Eggs, French, Lentils, Spinach and tagged bacon, breakfast, dinner, eggs, french, Laduree, lentil, lentil salad, lunch, salad. Bookmark the permalink. This looks awesome! I would totally make it sans bacon for a Meatless Monday meal.